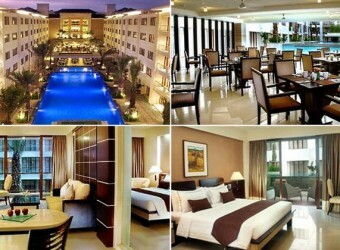 Bali Hotel It is the 4-star hotel of Aston Group, Aston Kuta. It was just opened in 2009, and it's 5-story-building. It locates on the south of Kuta, Tuban, and 5 min. from the airport. Moreover, it's just 200m to the beach. In the hotel, they have full of facilities such as swimming pool, jym, spa, meeting room, etc.